Condition: Good. Central fold. Sufficient margins. Few unobtrusive stains, hardly visible. Verso: blank. Large folio map of the continent. Handsome example of Nicolas Sanson's style - though not as ornate as his Dutch competitors, esteemed for geographic clarity and delicacy of engraving. 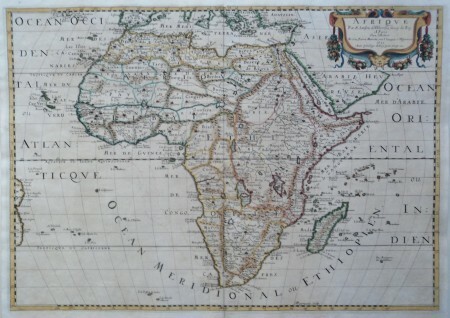 It is one of several maps of the continent prepared by the important French cartographer. 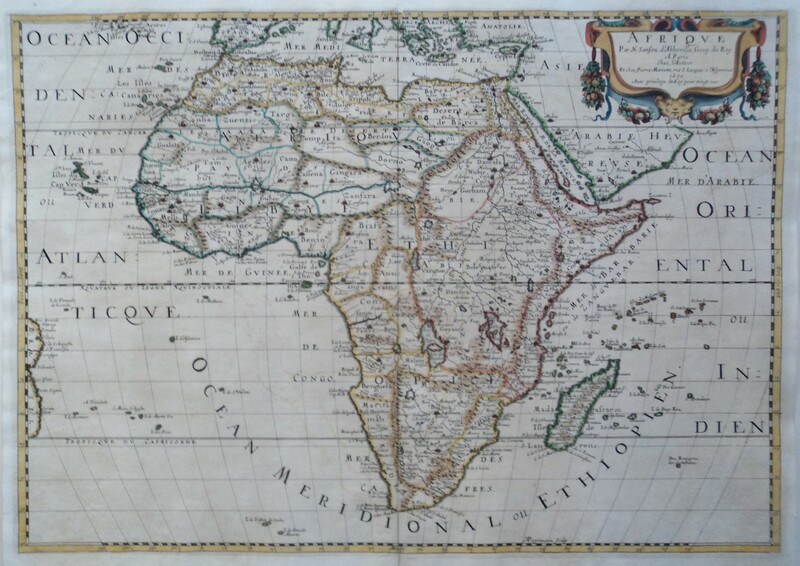 The map is filled with spurious details including the twin lake sources of the Nile and a peculiar mountain ranges. The format includes the Canary and Cape Verde Islands as well as several other Atlantic islands and the coastline of Brazil. Also includes Madagascar and many islands in the Indian Ocean. Strapwork and garland style title cartouche (uncolored). Engraved by Peyrouin, one of the many fine engravers employed by Sanson.